Fisher House is now able to offer the military community a beautiful, simple tool to access a huge array of scholarship opportunities. 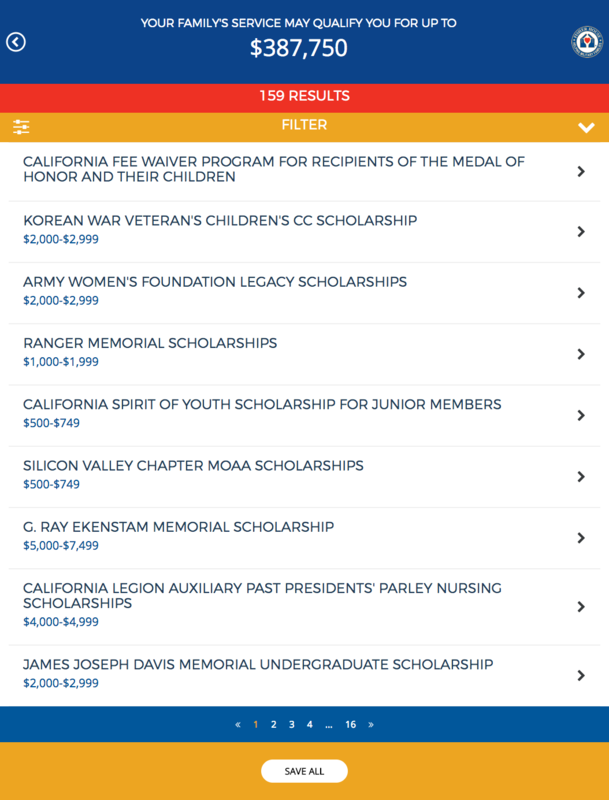 ScholarFisher, a tool offered by Fisher House Foundation, helps prospective applicants with Military ties discover better scholarships faster. We designed and built a site with a UX optimized for mobile-first using ReactJS, meteor, and MongoDB.